Pssst.. have you heard the news? I'll be updating my shop with a whole host of bespoke, unique, and experimental pieces of jewellery and homewares on Sunday 25th February. The pieces will be available to shop from 8pm on Sunday evening and will feature one-off pieces straight from the studio such as this 'Demi Bottle'. 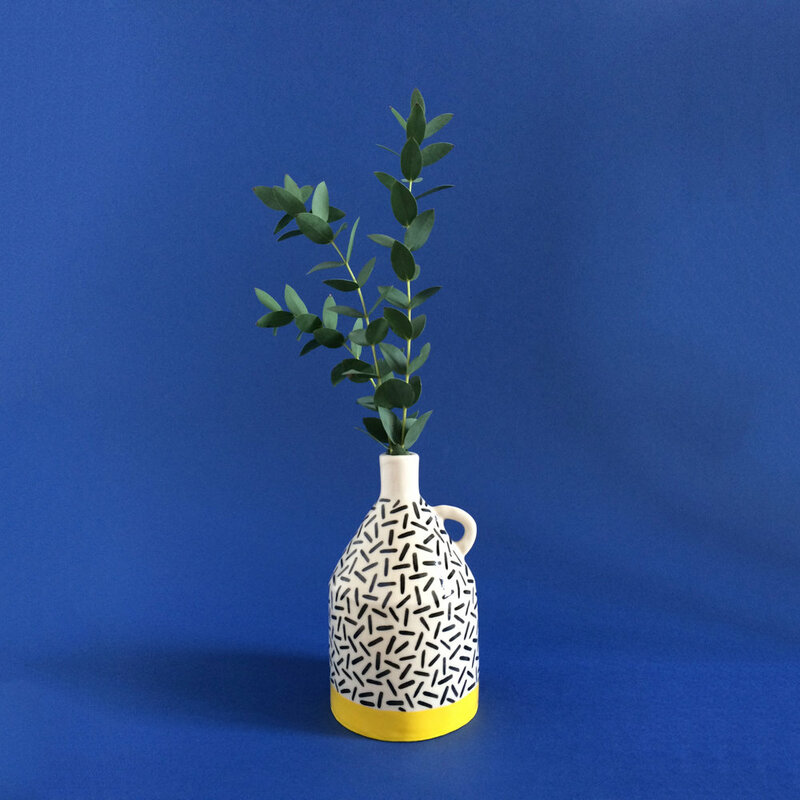 Hand-built in white stoneware and adorned with my signature graphic dash pattern, it's reminiscent of demijohn bottles and perfect for holding tiny, minimal leaf bouquets or as a statement object on its own. Head over to the 'STUDIO' page on my shop for a chance to get your hands on some of these extra special pieces at 8pm on Sunday! I’ve spent the last few months squirrelled away in my studio exploring new production methods and I'm super excited to be launching a new collection using Parian porcelain clay very soon.